MIX5500 Single lever mixing valve. 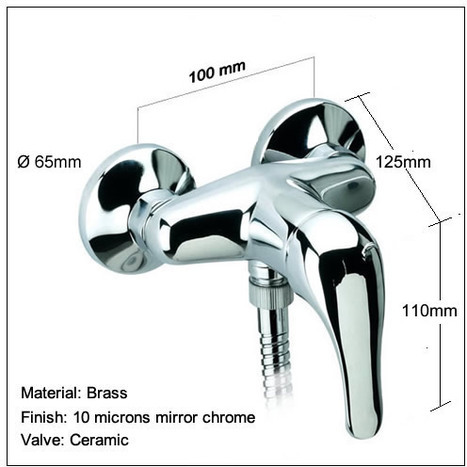 Small modern design, manufactured in Italy from solid brass with mirror chrome finish. Includes free next business day guaranteed courier delivery by DHL in mainland U.K. (excludes some remote areas of Scotland, we send by Royal Mail first class post to these areas) & from £9.95 to other countries dependent on location. 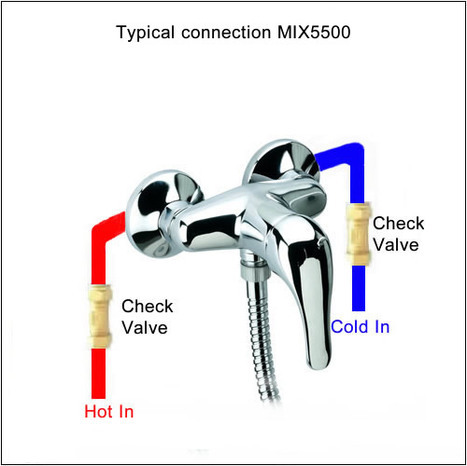 MIX5500 Single lever mixing valve. 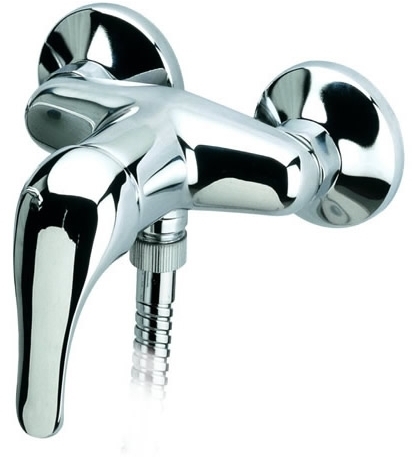 We also sell a suface mounting kit WPL0700 for this mixer (standard kit is supplied with off sets for concealed installation), the Your plumber may want to use a different method of installation so please consult him first to understand if this kit is required or not. Click on the View Additional / Larger images under the picture to the left then click next on the large picture to view all of the additional images.